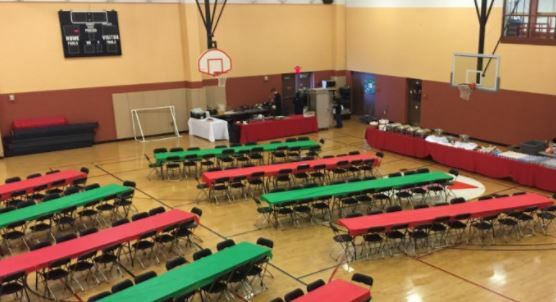 Inspired by the incredible work of our nonprofit users, SofterWare, Inc. created SofterWare Gives Back, a company-wide program that encourages and supports employee volunteer initiatives and philanthropy. Through SofterWare Gives Back, staff can use paid time off to volunteer at local organizations, send emails to the entire staff promoting volunteer opportunities, charity events, fundraisers, and drives, and submit matching gifts to causes they care about. SofterWare matches 100% of employee donations to nonprofit organizations. 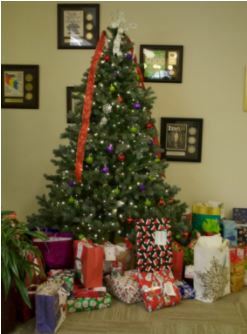 This holiday season, the SofterWare Gives Back committee created a Holiday Giving Guide that listed a variety of ways – in the office and offsite – that staff could support a variety of nonprofits. SofterWare staff spent an hour cutting color cuddly fleece fabrics and created 18 blankets for Project Linus to distribute. SofterWare staff members experienced the joy of calling parents to let them know their child was awarded a scholarship that would give them a quality education, something that was previously considered out of reach. 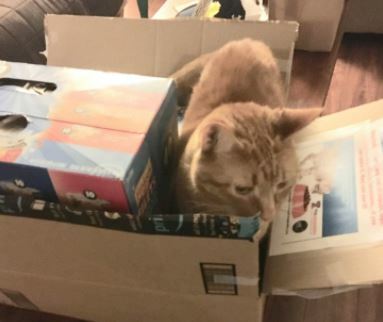 We placed collection boxes at our office entrance and staff filled each one to the brim with pet food, toys, leashes, and more, totaling about 80 pounds of food and goods for furry friends throughout the city. The Sara’s Smiles Foundation brings hope, love, and most notably joy to children in hospitals around the country through Inspiration Kits. Inspiration Kits contain notes of encouragement on paper clouds, toys, and art supplies that give children suffering from illnesses happy experiences during difficult times. 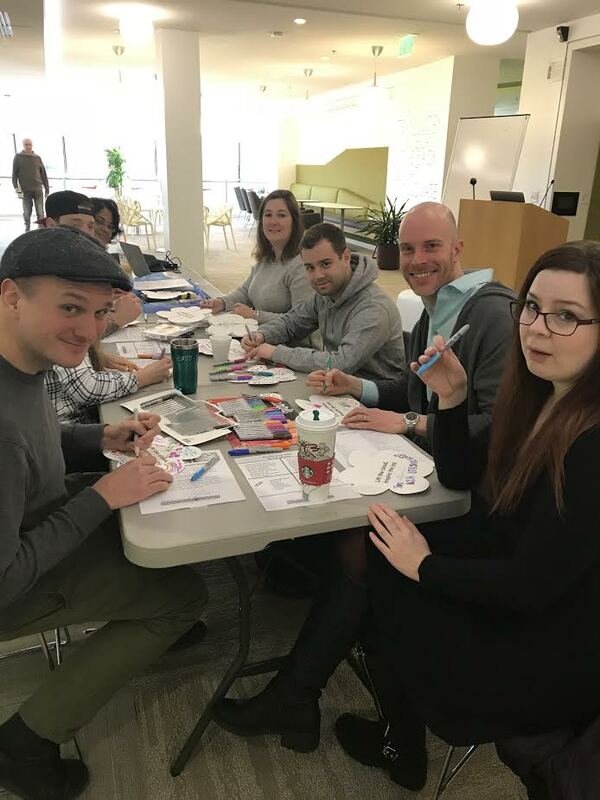 The SofterWare staff purchased 7 Inspiration Kits and wrote and decorated 150 paper clouds that the Sara’s Smiles Foundation will place in kits and send to children across the country. 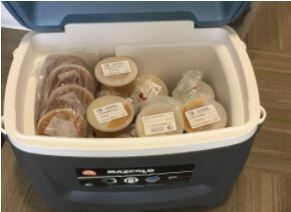 SofterWare staff cooked their favorite homemade soup recipes and packed up enough to feed 30 people. 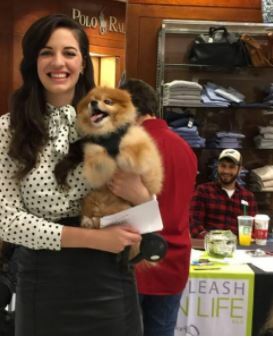 Our staff volunteered at their Bloomingdale’s event, catching shoppers’ eyes with cute pups and passing out scannable sheets for them to present to their cashier so Bloomingdale’s could donate 10% of their purchase total to benefit New Leash on Life USA. 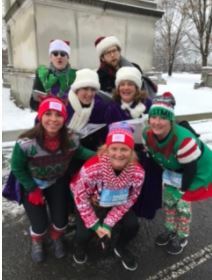 SofterWare staff laced up, bundled up, and took off running with a pup named Princess Switch. 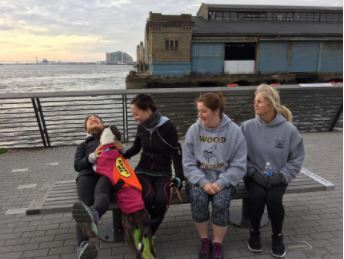 Runs happen on a recurring basis, so we look forward to meeting more dogs on future runs. One Warm Coat provides new and gently used coats for people in need. 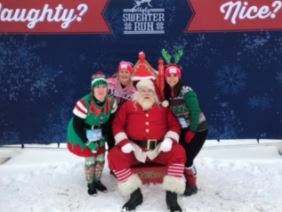 The “Ugly Elves” are the backbone of The Ugly Sweater Run, benefiting this crucial organization. 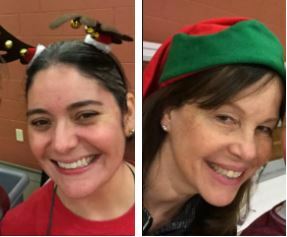 DonorPerfect staff checked-in participants, passed out swag, handed out beverages, collected coat donations, and seriously put the “elf” in selfie.